So, what is the deal with zombies, anyway? What fascinates people so? Well, people are strange and mysterious, but a few things do occur to me. Anyone who has ever gone to the mall, or been to a club, or driven on the highway in traffic, probably looks with a degree of recognition at the image of people turned soulless, incognizant monsters who want to overwhelm and consume them. Then, there’s the appeal of hitting the societal reset button, Tyler Durden style; cut through all the accretions of hundreds of years and fight for your own in a world returned to its primal senses. 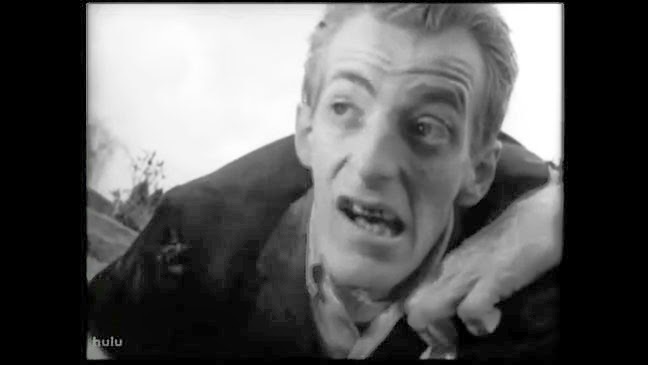 Although, zombies are just one device for conveying that kind of story. Nuclear war works well too. afraid of death and corruption, and zombies are walking symbols of just that. But, recently, while considering this question, a deeper implication of these stories occurred to me: the characters in these stories don’t have an argument for not becoming zombies themselves. If the survivors’ purpose is survival, then zombification is a better option. The zombies are much better at simply persisting physically than the living people are. But, obviously, it’s not mere survival the characters are after; the unsettling presence of euthanasia and suicide in these stories is evidence of it. The characters wouldn’t do such things if they valued physical survival above all else. They must have a higher standard, right? I don’t think so. Not higher, just more elaborate. The only idea of the good life – the kind of life they would rather be living – the characters in these stories express is essentially to be a more attractive, more sophisticated, picky zombie. They aren’t content with eating whatever they come across. They want to eat steak and drink beer and watch movies with witty friends who are a little more interesting than just the shambling monster that happens to be next to them in the horde. But, at the end of the day, it’s about getting stuff, consuming stuff, and persisting. And, some of them, if they don’t see any reasonable chance of getting stuff in the future, would rather end their lives (which puts them in the role of the zombie again, now that I think about it). The problem facing these kinds of characters is not just scary things trying to eat them. They’ve been confronted (whether they know it or not) with the shallowness and insufficiency of their own view of life, and the scary things trying to eat them are that very view stripped down to its essentials. I would like to see a little more representation of another kind of character in these stories: a person who doesn’t think life is about getting and having things, but about doing things. Because, for this kind of person, the situation of life wouldn’t seem to have changed at all just because the world is overrun with the living dead. To him, life appears to be an opportunity to do things until you die, and the challenge is to do good things until then. Zombies don’t change that. They make the possibility of dying a little more obvious, perhaps, but they also increase the number of exciting, readily available opportunities for good deeds. Everyone is in danger during the zombie-apocalypse. Everyone needs saving or comforting or feeding or defending; plenty to do for the guy who’s trying to do stuff. Maybe writers don’t write those characters because they don’t think we could relate to them. If that’s the case, guys, we should really give them a higher opinion of us.